With the current demand for certified nursing assistants for healthcare, it might be ideal for those who are contemplating this type of career in the state of Georgia to know what would be the requirements to get a CNA certification in Georgia. This type of work is good for those who love being involved in personal services without getting a lot of financial rewards in return. One should be a certified nursing assistant first before he or she can practice or work as a nursing assistant. 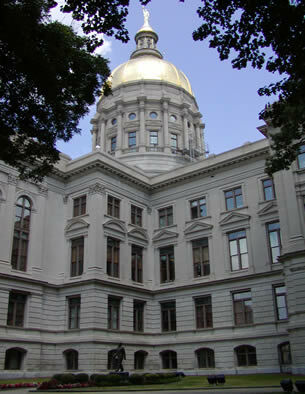 You first need to undergo a state-approved school program which is listed on the website of Georgia’s Department of Health. These trainings are available in government approved nursing homes, home care institutions, high schools, private schools, and technical colleges in Georgia. The state requires 100 hours of clinical rotation and an additional 75 hours of course work. With this time requirement, one can most likely finish a training program in about 2 to 6 months. One is required to attend the required classes as well as finish them before he may apply for a nurse aide certification exam. When you have finished the required training, you may now apply for the exam which is given by Pearson Vue. The test involves both an oral or written exam as well as a skills demonstration test. The applicant would have to pay for the testing fee at Pearson Vue as well as submit the necessary documents for the approval. The certification requirements include fingerprint cards which would be needed for the state and federal background check. Without the background check having a good result, one would not be issued the certification. Two passport sized photos are also needed plus TB tests and immunizations. The state would also require you to submit a high school diploma before you can be issued a certification. After you pass the CNA exam and the criminal background check, your name will then be entered in the Nurse Aide Registry for the state of Georgia. For those who are seeking reciprocity, you may apply for certification in Georgia if you are current holders of certification from another state and is in good standing on that state. Those who are working as nurse aides on home care facilities without a certification should undergo training and nurse aide examinations within 4 months from the time of their being hired. The certification would have to be renewed every two years and there is no renewal fee for this process. The state requires at least 8 hours of work as nursing assistant within the past 24 months before one can apply for renewal of certification. Those employed in Medicare and Medicaid facilities should undergo in-house education of at least 12 hours before they can renew their certification. So before you can work as a certified nursing assistant in Georgia, you would have to look for an accredited school that offers CNA training programs first. You can view them at the state’s website where you can find various institutions offering them. Click this link for additional information about the latest approved nursing assistant classes in Georgia.